Grant your power of attorney like you would use your stress relief spinner. Use with caution. Plan Your Will > BLOG > Uncategorised > Grant your power of attorney like you would use your stress relief spinner. Use with caution. 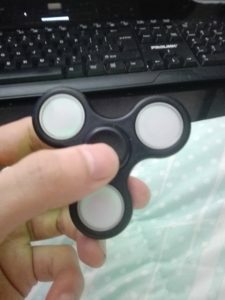 Essentially to relieve stress, you put the spinner in your fingers, and through the wonders of centrifugal force, the spinner creates a weird sensation in your hand. Admittedly, the gadget fascinated me for about 10 minutes – and remarkably, it did relieve stress. Then as my concentration faltered, I let it drop and the thing flew across the room, a whirring mass of physics gone awry, nearly missing my unimpressed dog by mere inches. This stress reliever performed a function – stress relief. However along with the function came potential danger. Accordingly it needed to be handled with caution. As I was thinking about the topic of Continuing Powers of Attorney for property, it occurred to me that like the spinner, powers of attorney perform a very important function. We can make a continuing power of attorney for property, to grant a person we trust power to deal with our financial affairs, even when we become incapable ourselves. It is really an essential part of an estate plan. So what are you options? Have a power of attorney, but understand and take the risk that someone misuses it. Really that is it. I tell my clients to only appoint someone you trust completely. If there is no one, consider appointing a professional to act as the attorney for property. This can be a lawyer or a trust company.